What are the Top 10 Mobile Advertising Companies that offer advertising options on Mobile devices. Small Guide on Mobile Advertising- Introduction, Tips, Benefits of using Mobile ads for your Business Marketing. Content Digest: Top 10 Mobile ads Networks. Mobile ads companies. Various types of Mobile ads and their advantages. PPC, CPA, CPM, eCPM based Mobile advertising Networks for Android and iOS Platforms. As the number of mobile device users increase, advertisers have to come up pragmatic advertising policies that are specifically designed for mobile phone users. Using Mobile based advertising has proved one of the most effective means of advertising. Mobile advertising is an exciting new frontier in interactive advertising where adverts are placed on small, personal and ubiquitously accessible mobile device. Though, every big ad network offers a mean to advertise on mobile devices. They include an option to advertisers where they can choose to allow publishing ads on mobile devices. But, this is very general and ambiguous type of mobile based advertising. But, the top 10 mobile ad networks as mentioned below are dedicated towards providing mobile based advertising solutions to their clients. Why use Mobile based advertising? Mobile ads have become very popular means of the paid marketing and advertising for any business today. From small to popular ad agency , everyone is recommending mobile ads to be included in your mainstream advertising and marketing strategies for promoting any type of business or company. ( Top 100 Sites for Free Advertising )In this case, ads are placed on basic mobile phones, feature phones, smart phones and iPhones. Obviously, the ability to support various ad formats depend on the various phone specifications. Here is a sneak peak of the types and advantages of mobile ads. Websites that have a mobile version offer mobile users the opportunity to access website content on their mobile phones. Adverts of various forms like banner ads can be placed on this website. This medium is especially suitable for advertisers who want to generate leads to their websites. The growth and development of mobile applications has changed the way businesses advertise. A mobile application is basically a software that can be downloaded an pre-installed on the mobile platform. An application can be a game, lifestyle tool or even a news reader. There are several applications that are developed every day, and they allow ad placement. There are also branded applications that advertise specific brands of businesses. Mobile applications are good for branding among other uses. In this case, a short message text or multimedia text is send to a mobile user. Messages can have the common short codes which are numbers on which messages can be send and/or be received.Text ads, banner ads and animated images can be send via the mobile phone, helping in lead generation and branding. Mobile messaging is a great for Customer Relations Management. It also serves as the building blocks of other advertising methods. Mobile video and TV. The ability of most mobile devices to support video and TV capabilities is good news to advertisers. This is because videos can be streamed or downloaded from a site that is usually send through a text message to a mobile phone user. Pre-roll, mid-roll and post roll video ads can be used with most mobile devices. Static images, video clickable overlays and branded videos can also be used. Games: Mobile games feature visible banners during game play or interstitial ads that are shown as you move from one level of play to the other. There are also adver-games that have been specifically designed for mobile users. Push publishing: Advertisers can also “push” advertisements in the backgrounds of phone resident applications so that the advert can be instantly viewed by the user. Ticketing/ Couponing: Mobile phone ticketing applications can incorporate display advertising on the ticket or coupon. Passive display: Some advertisements can also be featured on the display of mobile phones like screen savers. Mobile advertising has its own strengths that make is better than other forms of advertising in some cases. For instance, with all these advert types, clicking on the links of the mobile ads wherever they are placed can either take the visitor to the landing page or initiate a message or a call, depending on the features that the device can support. Click to locate- users can click on the links to locate the nearest movie theatre or car dealer, for instance. Click to order marketing materials like brochures. Click to enter a competition like charity sweepstake. Click to receive an email. Click to download and/or forward content like logos, ringtones and wallpapers. Click to receive a mobile coupon. Call to get additional information. Call to renew your subscription. Call to complete a survey. Call to receive the available promotion. Text based messages are almost identical to the call based responses, except for the fact that with text messages, you can text to refer a friend. This widens the scope of the advertising objectives. Generally, immediacy, cost effectiveness, increased engagement and reach as well as ability to provide various objective-oriented actions are some of the benefits of mobile advertising. Indeed, mobile advertising offers the potential for personalization and high engagement. The mobile phone is a very personal device, and every mobile phone is linked to an individual and it always remains on hand. This means that adverts are received and read immediately they are send. As a mobile advertiser, you can also align your adverts with the intended audience, as mobile advertising is a precisely targeted communication channel. Google is a great advertising platform, and you have an idea of what to expect from it. AdMob is a great ad network by Google that features a Software Development Kit that allows you to use iOS, Android and Windows Phone for your advertising campaign. There is a wide range of ad formats to choose from, such as standard banner ads, full screen ads and interactive ads. 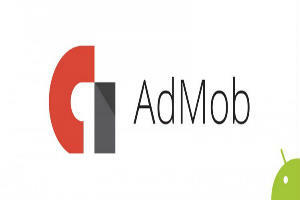 AdMob is designed to leverage the best of Google ad platforms. Its smart app promotion, robust ad filters and intelligent reports make marketing as easy as ABC. The convenient CPC medium is the icing on the cake. mMedia allows you to use a myriad of self-service mobile advertising tools that leads to growth of your business. It is wonderful on iOS, Android, Windows Phone 7, BlackBerry, Symbian, Java and WebOS. It allows CPC, CPM and CPA, and the format of ads it supports include banner, interstitial, interactive video and rich media ads. With mMedia, you can easily advertise your business across various mobile apps and sites, control your mobile advertising creative and manage your ad campaigns. 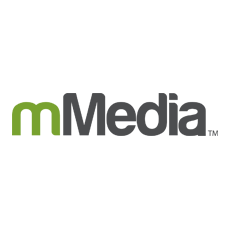 Update- mMedia is now ONE by AOL: Mobile. It works well on the iOS and Android platforms, and uses CPC and CPM models. It supports banner, interstitial, video and rich media ads. It takes care of both integration and performance of your advertisements, ensuring that your marketing campaign is successful. Adfonic works directly with international agencies to be able to do so. It also supports AdMob mediation and Ad Serving API. 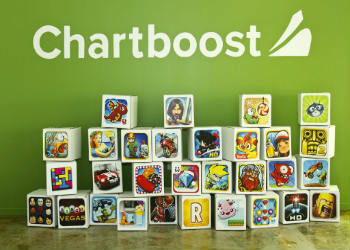 You can easily grow your businesses with Chartboost. This is one of the best ad networks as it offers the greatest mobile games-only platform that allows you to increase your revenue as you discover new players. If you are a game developer, you will like the up-to-par integration and analytics technology offered by chartboost alongside other creative and professional advertising services. It also optimizes your eCPM, accentuating your marketing campaign. 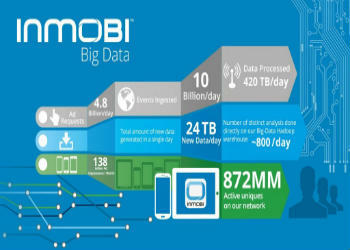 InMobi has grown from a humble background since it was incepted in India and it is now a great mobile advertising medium that is slowly conquering the international mobile advertising market. 93.4 billion impressions, 578 million consumers in 165 countries is not a mean achievement. It allows banner, expandable, interstitial, video, text and rich media ads and works well on iOS, Android, and Windows Phone platforms. This is a great paid marketing for mobile ads across the Americas. 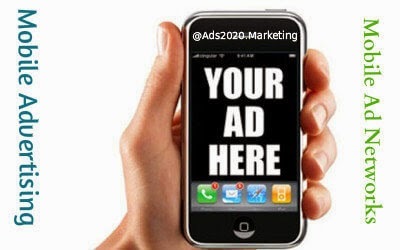 On AdsMovil, you can start, grow or monetize your business. You can take advantage of the AdsMovil technology in the Hispanic market for instance to target your audience. The brands and publishers that work closely with AdsMovil deserve a standing ovation, as they give an idea of what to expect. Gamers can earn virtual currency on Tapjoy through the incentivized download. They are able to reap several virtual rewards and content. The large number of supported games, approximately 20,000 and more than 1 billion network devices and 77 million active users in a month assures you that your are working with the right mobile ads network. Business advertising has never been easier than with Komlinmobile. This is a Global mobile Ad Network that works on a performance-based platform that allows targeted mobile advertising. As an advertiser, you get access to performance mobile ads and Mobile Video ads. Real-time Analytics and global reach accentuates your marketing campaign, ensuring that you achieve your goal and move to the next level in your business. If you know the importance of mobile ads in business advertising, you cannot afford to miss a chance to work with Aditic. This mobile ad network has a strong background in advertising on the mobile platform and its wide experience has seen it through several development milestones. It supports iOS, Blackberry, Android, Samsung Bada as well as Java. Several ad formats are accepted, allowing flexibility and scalability. Admoda allows business advertising on the CPC and CPM models. It also accepts flat rates.Its straightforward integration and elaborate customer service ensures that your business marketing is successful. It is the mobile ad network of choice for affiliate and performance marketing strategies. It cannot miss in a successful mobile marketing plan. I would suggest to review also mobite media group, I've been working with them for a few months and they are the only network (I tried 6 so far) that didn't shave any installs.